The program is offered on a full-time basis and consists of 2 consecutive semesters of courses (September – May) followed by a professional experience (from June onwards). The curriculum is developed around core courses, including Bloomberg certifications, to provide participants with strong fundamentals in corporate finance and in financial markets, as well as elective courses to gain a better understanding of special topics in finance. Throughout the program the ethics of finance and market practices are discussed with professionals. This course is based on a business management simulation game that integrates the functional areas of production, marketing, logistics, finance and strategy. It increases participants’ awareness of operating a company from a general management perspective. At the end of the course, the student should be able to understand how to design and implement a strategy for different kinds of markets; interpret and forecast market situations and financial results and translate them into goal-oriented decisions; analyse problems, find solutions and take decisions in a context characterised by changes; recognize the interactions among the various companies and external stakeholders in a complex and interrelated environment. This course aims at equipping students with practical skills and strategies that will enable them to remain true to their values in the face of workplace challenges, to think critically about ethical issues in finance, to analyze the impacts both of their firm and of those it helps finance on organizational stakeholders such as employees, customers, neighboring communities, and the natural environment, and to address those issues in their role as manager and investor. The students will have an extensive discussion of professionalism, market integrity, responsibility to clients and employers as outlined in the CFA Institute Code of Ethics and Professional Conduct. The skills and behaviors parts aim at giving students keys to self-audit, know themselves better, observe the way they behave and put their behaviors into questions to develop their personal and collective efficiency. Both theoretical concepts and operational approaches are used during the course: grid of skills and competencies, basic neuroscience principles, multiple intelligence, IQ vs EQ, business games, presentations, etc. The ethics part aims at understanding how ethics are embodied in business every day and that it can concern everybody at his own level. It takes a broader approach to understand the complexity of managing stakeholder’s expectations, in a national or global environment, and the use of CSR concepts to bring solutions to ethical issues. A problem solving methodology is also detailed and applied to analyze ethical business dilemmas and make responsible decisions in such situations. The course aims at providing students with a good understanding of the nature and rigour of project management. The students learn to apply skills in project management processes; identify objective setting and project design; demonstrate problem solving, analytical skills and master project management tools and methods; apply the economics of project management for planning, scheduling and budgeting; describe resources available to the project manager to keep current with trends and best practices in the resolution of complex project management issues; develop a proposal for a project and present a business case. The course is structured in the form of several sessions of interventions of financial professionals presenting the details of their field of expertise. The course aims at explaining students how to identify the approaches involved in the security selection process; to distinguish between different equity investment styles; to construct and monitor portfolios using the portfolio analytics system on Bloomberg; to implement equity portfolio management strategies, using fundamental analysis; evaluate portfolio performance against a benchmark; report detailed portfolio information and commentaries in the portfolio fact sheet. The course is taught in the Trading Room and implies the use of the Bloomberg terminal. Through an extensive discussion of asset classes, such as real estate, hedge funds, commodities, private equity and structured products, the course develops understanding of different types of alternative investments. By putting them into the portfolio management context, the students learn to identify the purpose for which alternative assets are used by investors and their diversification benefits resulting from unique properties and risks of alternative assets. The objective of this course is to apply theoretical and analytical concepts to portfolio management and wealth planning. It builds on the modern portfolio theory as developed by Markowitz and focuses on basic principles of the portfolio management process that remain important today. The students develop a good understanding of market valuation of securities and the portfolio management process. The course demonstrates application of modern portfolio theory to the construction of an efficient portfolio, implementation of basic asset allocation and risk management techniques and evaluation of portfolio performance. The assessment for this course consists of a final presentation in the Trading Room at the end of the course and a project using Bloomberg terminal, to apply the different topics. The course aims at equipping students with the quantitative techniques of regression analysis for making various relevant business and management decisions; analysis of time series data in situations where classical assumptions do not hold; and building forecasts essential for business strategies. 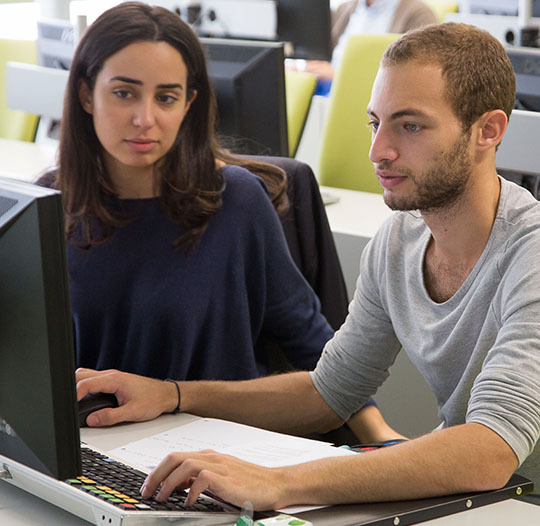 All the techniques are put into practice in the computer lab where students apply the concepts by using real financial and accounting data. The objective of this course is to provide students with the toolkit enabling them to build a coherent macroeconomic reasoning, to understand the flows inside the economy, to use and discuss the main macroeconomic variables and their evolution (business cycle), to sketch a short and long term macroeconomic equilibrium and to discuss the potential short and long term effects of both fiscal and monetary policies.The first part of this course focuses on the measure of the national income (the GDP) and its evolution over time (the business cycle). Students will be able to picture a short term equilibrium using the main macroeconomic aggregates (GDP, inflation, interest rate, unemployment). The second section will be dedicated to the effects of fiscal and monetary policy on the economic growth. Finally, students will expand their previous analysis to a long run time horizon using the Aggregate Demand (AD) and Aggregate Supply (AS). The general philosophy of this course is to give students an overview of microeconomics and the main techniques used in this discipline. Students develop a thorough understanding of consumer and firm behavior and the role and effects of government intervention in the economy. By applying different analytical tools, such as supply and demand diagrams, the students will learn how to analyze the impact of overall changes in supply and demand on price and quantity. Finally, different types of market structures (monopoly, oligopoly and a competitive market), their characteristics and consequences are discussed. The aim of this course is to equip students with statistical and probabilistic concepts which are essential in investment analysis. Students will learn the notion of random variables and different type of events (mutually exclusive and exhaustive), conditional and unconditional probabilities, main descriptive statistics (mean, standard deviation, skewness and kurtosis) and common probability distributions (uniform, binomial, normal and lognormal distributions). By developing a good understanding of these concepts, the students will apply probability concepts to solving financial and economic problems by using real financial and accounting data. 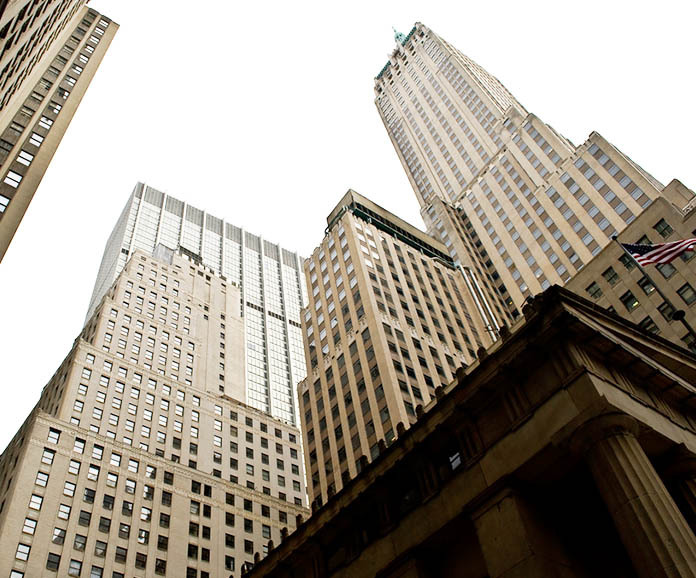 This is an introductory course to corporate investment decision-making. The course aims at providing students with good understanding of the main concepts needed in the process of making investment decisions. The students will learn how to use the techniques and tools to perform a financial analysis determining the opportunity to carry on or not with an investment project and bring his/her conclusions to management. The course is structured around the study and practical testing of 6 concepts needed in corporate investment decision-making: time value of money; free cash-flow; returns (IRR and ROIC); basics of asset valuation; capital budgeting; value creation and decision-making. At the end of this course, students will have acquainted an advanced knowledge of the financial accounting system and will be able to treat the financial reporting registrations of various economic operations of the company appropriately. Finally, students will be able to interpret the main components of financial statements for decision-making purposes. The course deals with the following concepts: an overview of the international external reporting environment; knowledge of balance sheet, income statement and cash flow statement; the basics of the bookkeeping process; an overview of accounting for assets; depreciation of assets; inventory accounting; an overview of accounting for liabilities; revenue recognition issues. This course covers current practices in financial reporting and fundamental issues relating to cash flow to assess earnings quality, and profitability and risk assessment using corporate annual reports. The emphasis is on financial statement analysis and interpretation of financial disclosures to help improve profitability analysis and risk assessment. This is not a course about the details of GAAP, or the myriad of accounting rules and procedures that comprise GAAP. The viewpoint is that of the user of financial statement. The course is designed primarily for students who expect to be intensive users of financial statements. The course should be of interest not only to those responsible for preparing financial statements, but also those who will use financial statements for making decisions. The course utilizes a combination of lectures, case discussions and analyses, independent reading, and group projects. The cases used in the course will provide an opportunity to integrate the abstract tools learned and apply them in a practical context. International Financial Reporting Standards (IFRSs) are used world-wide. Over 120 countries require or permit the use of IFRSs. Listed companies in the European Union have implemented IFRSs since 2005. Many other countries are either adopting IFRSs or have decided to converge their national standards with IFRSs. This course intends to critically present and analyse important IFRSs. The principles are explained clearly and real-world examples are provided.At the end of the course, students will be able to understand the Statement of Comprehensive Income, the Statement of Changes in Equity and related-party disclosures. They will be able to apply the main foreign currency translation methods and implement foreign currency hedging. Students will also understand the main earnings manipulation techniques and how to evaluate earnings quality and earnings conservatism. The aim of this course is to prepare students for obtaining Bloomberg Certification acknowledging their capacity of working with Bloomberg terminal, in particular the acquaintance with core and sector-specific Bloomberg functions and exporting data to Excel. The aim of this course is to make students familiar with essential characteristics and pricing methods of fixed income instruments. The students will learn different types of bonds, understand the characteristics of the bond market, understand the risks associated to bonds and calculate the duration and convexity of a bond. By using real data from Bloomberg, the students will learn how to price a bond. The aim of this course is to explain what a financial market is and its main function, to develop the concept of financial intermediaries and their role, to discuss the features of basic financial securities, short-term debt, bonds and stocks; to elaborate on the the basics of the subprime crisis, sovereign debt crisis and monetary policy. The main focus of this course will be on the two financial crisis. Students will have to make a presentation in class, but they will have the freedom to choose the topic as long as it is related to the course. At the end of this course, the students will be able to critically describe standard valuation techniques; use Bloomberg to extract data and analytics for valuing equity or a firm; estimate the cost of different sources of funding; estimate future free cash flows generated by the firm; perform the sensitivity analysis of the model to different assumptions. By building the spreadsheet valuation model in Microsoft Excel and dynamically linking it to Bloomberg, the students will put into practice all valuation concepts and techniques. The first, theoretical, part of this course aims at explaining the mechanics of futures and options markets; basic hedging/speculation strategies with futures and options. The students acquire the knowledge of risks associated with futures and options, the design and regulation of futures markets. The first part concludes with the basic option pricing in a binomial and the Black and Scholes model. The aim of this course is to provide students with VBA coding techniques to analyse real financial data in the investment management context. The course is taught in the Trading Room. 4-6 months internship or consulting project anywhere in the world. The program has been acknowledged as incorporating at least 70 percent of the CFA Program ‘Candidate Body of Knowledge’ (CBOK) and placing emphasis on the CFA Institute Code of Ethics and Standards of Practice within the program. This MSc program positions students well to obtain the Chartered Financial Analyst® designation, which has become the most respected and recognized investment credential in the world. Through participation in the CFA Institute University Recognition Program, IÉSEG School of Management is also eligible to receive 5 student scholarships for the CFA Program each year. The students who choose to sit the CFA Exam are offered 32 hours of coaching sessions to prepare them specifically for this exam. MSc in Finance students are also offered a unique opportunity to represent IÉSEG in the CFA Institute Research Challenge, an international student contest aiming at promoting best practices in equity research. In 2017, IÉSEG team won the French final of this prestigious competition and represented France in the regional EMEA final. Our program prepares students for the Chartered Financial Analyst (CFA ) level 1 examination that leads to the attainment of the charter awarded to investment and finance professionals by the world-renowned CFA Institute. The CFA charter offers a permanent advantage in the job market and distinguishes your profile from others throughout your career path. Furthermore, our program gives students the possibility to participate in the global CFA Research Challenge that constitutes an intensive training in the area of financial analysis.